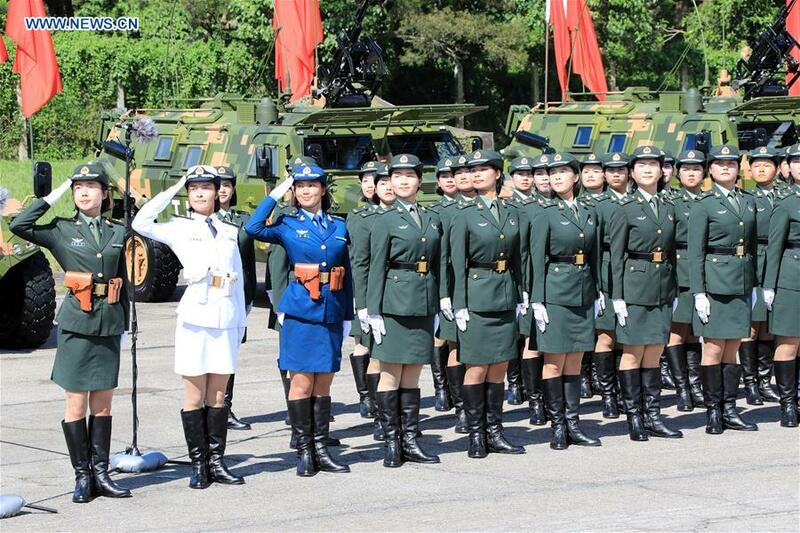 HONG KONG, June 30 -- President Xi Jinping on Friday inspected the Chinese People's Liberation Army (PLA) Garrison in the Hong Kong Special Administrative Region (HKSAR) at Shek Kong barracks, on the eve of the 20th anniversary of Hong Kong's return to China. Xi, also general secretary of the Central Committee of the Communist Party of China and chairman of the Central Military Commission, reviewed the troops in the company of Tan Benhong, commander of the PLA Garrison in the HKSAR. More than 3,100 officers and soldiers took part in the review, and over 100 pieces of military equipment including air defense missiles and helicopters were displayed. About 4,000 spectators from all walks of life in Hong Kong were present. Xi arrived here Thursday to attend celebrations for Hong Kong's 20th return anniversary and the inauguration of the HKSAR's fifth-term government. He will also inspect the HKSAR during his three-day stay.